PARADISE FOUND!! 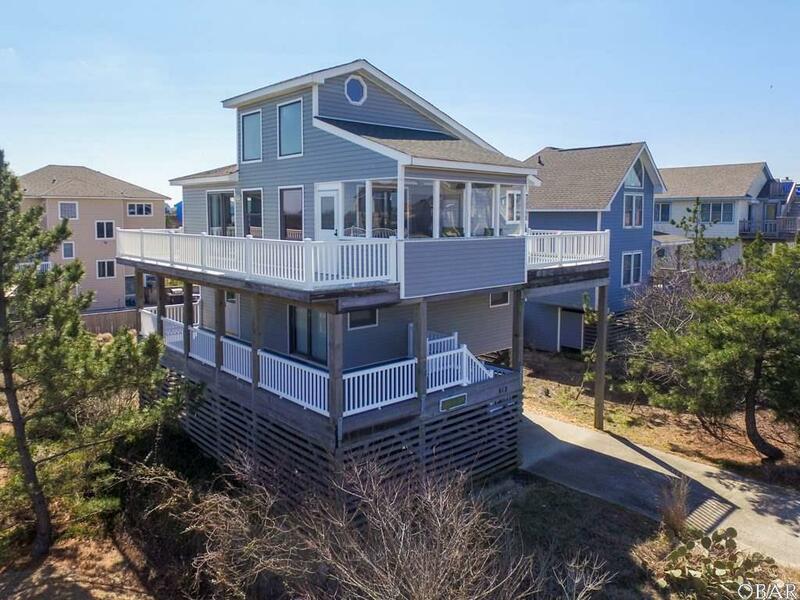 AWESOME LOCATION JUST 2 LOTS FROM THE OCEANFRONT WITH AMAZING OCEAN VIEWS!!! This is such an incredible spot...just steps to the beach and adjacent to open space! Fewer homes in this section of Ocean Sands...which means uncrowded beaches! You will feel the love when you walk into this sweet beach home! Beautifully maintained, tastefully furnished, and completely turn-key! This is the quintessential beach cottage! Light and bright throughout, it is spacious and features a lovely sun room (unheated) off of the dining room which provides a great second living/dining area. Sun deck as well as covered deck offer great outdoor living space! The owners have taken extremely good care of this home and have made so many improvements including new siding and railings (both maintenance free vinyl), new HVAC, several new windows and more! A full list of improvements is available upon request. This is definitely a MUST SEE and will not last long!